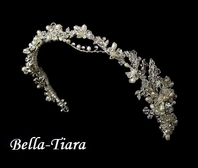 BEAUTIFUL-- Antique vintage silver bridal headband-SALE! 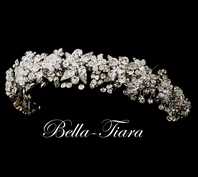 HOME / WEDDING HEADPIECES / Wedding Headbands / BEAUTIFUL-- Antique vintage silver bridal headband-SALE! 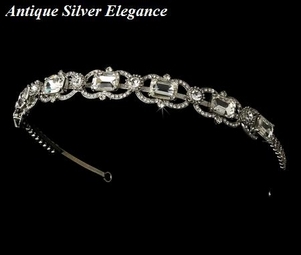 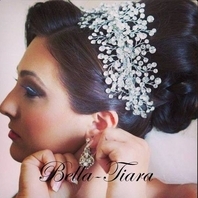 Description: This gorgeous vintage style bridal headband is featured in a beautiful Antique Silver with sparkling components of Rhinestones through the headpiece. 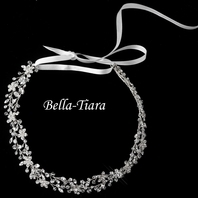 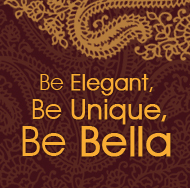 This is a perfect accessory for the bride herself, or even for each of the bridesmaids.